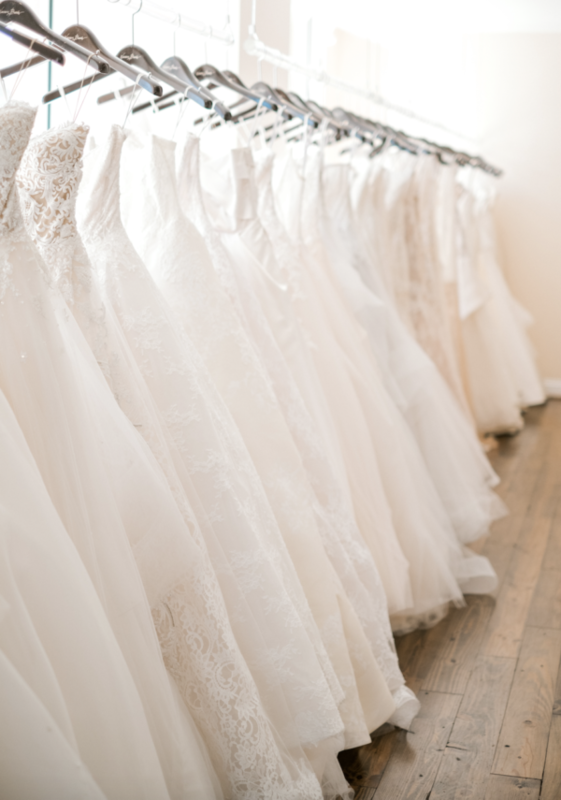 What is a Bridal Designer Trunk Show, and Why Should I Go? Amy Berend, co-owner of Bridal Boutique of Lewisville and Beside the Bride, gives us the low down. A trunk show is a scheduled event where the majority of a specific collection of gowns is available in a boutique. It’s usually for one weekend only. Why should I go to a trunk show? Going to trunk shows allows you to see more gowns from a certain line than you ordinarily would. Most stores only carry about 30 to 40 percent of a line, whereas going on trunk show weekends allows you to view almost the entire collection at once. We recommend that trunk-show gowns be ordered at the appointment in which you try them on, because it can be difficult to get another appointment at the same salon on busy weekends such as those. Many trunk shows are subject to a discount, as well, and in order to get the deal, you’ll need to buy that weekend. What’s the best way to shop one? The best way to shop a trunk show is to make an appointment and go in with the mindset that if you fall in love with a gown, that may be the only opportunity you have to see it, so be prepared to purchase it! Do not be afraid to say “yes” to a gown the first weekend you try on or at the first store you go to. If you love it, get it! We suggest bringing no more than three guests with you to a trunk show, as too many opinions can make it difficult to get the dress you love—rather than the dress your best friend loves. See all the trunk shows happening locally here.